Eva is our "queen of content"; constantly writing about the latest video trends. You can find her reading up on the newest technologies and looking for original, fun ways to engage online. When she is not typing away behind her computer, she is scaling down her movie bucket list. Also, she loves to dance, always improving her killer dance moves. Video subtitles: what tools to use? One of the objectives for your video is to show it to the world and to make sure people understand what your video is all about. However, 466 million people worldwide are hearing impaired. You need to consider the people that are unable to play a video with audio. Does this mean you have to aim for a smaller audience? On the contrary. This is where subtitles come in handy when paired with your video. 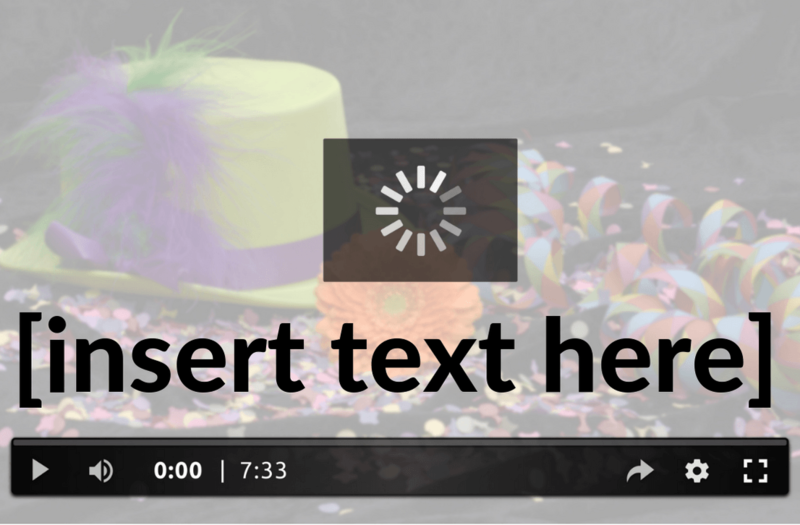 Adding subtitles to your video is a simple enough task. We are making it even easier by handing you a list of the easiest tools. In most cases you have an audio script for the videos you create and on the other hand there mightn’t be a script, for example with live streams. In this situation, it is easiest to use one of the following tools for your video subtitles. The Creator Studio provides you with the option to automatically add subtitles. All you have to do, is check the punctuation and timing. You can also add your own subtitles by typing along with the video. The video starts playing and each time you start typing, the video pauses. When you stop typing, the video starts up again. You repeat this until you added subtitles to the whole video. YouTube automatically adds the subtitles you have written, based on the audio track. The timing for these subtitles is far from perfect. So, always check the timing and adjust when needed. Once you think the subtitles are exactly right, you can download it as an .srt-file that can be used on almost any platform. Are you an Apple-user? The Clips-app makes it easy for you to add subtitles. The app uses the audio, so all spoken text, and immediately turns it into subtitles. Next, you can customise these subtitles in terms of colour and format. The app adds the subtitles immediately, which makes it error-prone. For example, when the app doesn’t understand what you say. But it is easy enough to correct these little mistakes. 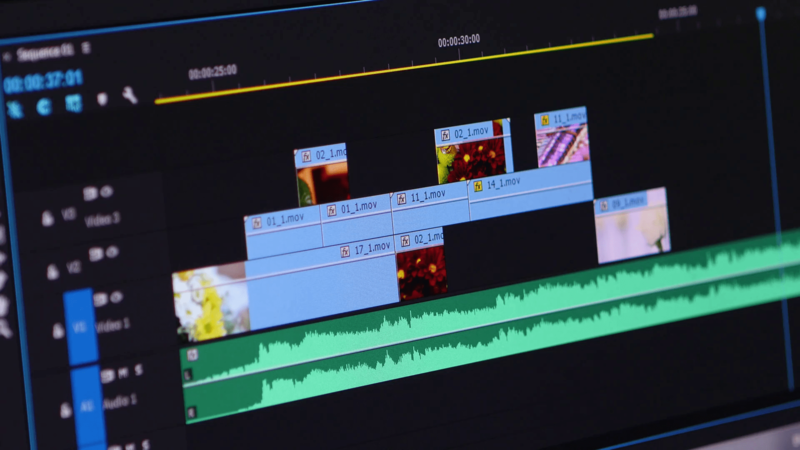 Each laptop or desktop has a video editor as a standard. For example, Windows Movie Maker for Microsoft and iMovie for Mac. One feature of these editors is adding subtitles. The only downside of these video editors is that if you want to simply add subtitles, it can be a little more difficult than it needs to be. But once you get the hang of it and do it more often, it will become easier. Most often a script is part of video production. This is a good starting point for adding subtitles. All you have to do, is add the right timing. If you have a script, consider using one of the following tools. This tool is marked as one of the most user-friendly tools. It supports nearly all subtitle formats. It is fairly easy to upload and edit subtitles. The tool helps you with automatically timing your subtitles and offers spell checking. Similar to Subtitle Workshop, Jubler supports nearly all subtitle formats. It uses an algorithm to check the timing of your subtitles. And before saving the subtitles, you can test whether they work the way they are supposed to. Do you prefer adding subtitles old-school? You can always add the subtitles manually. Get your script and start the video. Pause the video when people are talking and write down the time code next to the words. You can do this in Word or Text, but always make sure you convert them into an .srt-file. This format can be used for most platforms. The good thing about the tools above, is that they are all free of charge. Maybe you do not trust these free tools. 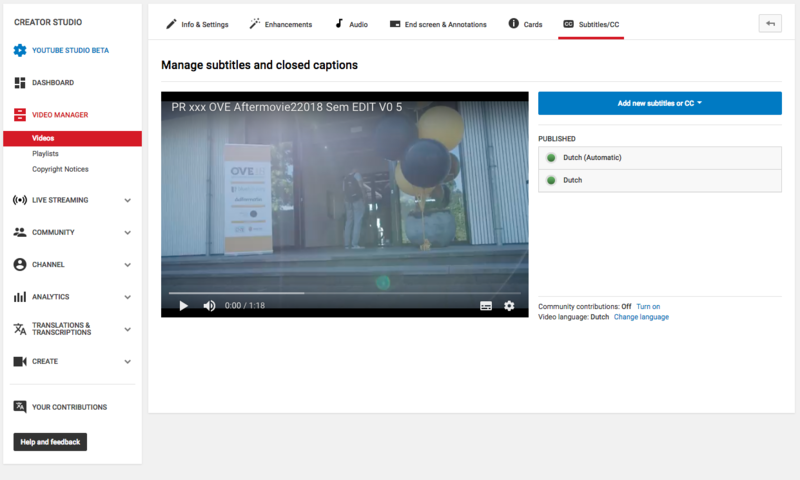 For a small fee you can get your videos subtitled by external sources. Here you can find some external parties. Burn in or add later? Most video platforms and social media platforms use .srt-files. The benefit of these subtitles, is that they are easy to adapt. However, sometimes videos only work with burned-in subtitles. For example, on LinkedIn. Whenever you discover a mistake in these subtitles, you need to update the whole video again. Before adding subtitles, consider what platforms you will be using and what kind of subtitles are required. One fact that is as clear as day, is that you should start subtitling your videos. Add it to your video production checklist. The more often you do it, the easier it gets. Video SEO is all about making sure your videos get the highest ranking in the Google search results. Sometimes it's easier said than done. But not with our video SEO guide. Get started!